When you think about it, writing is a lot like knitting — a simple string is transformed into a complex and meaningful pattern. As a writer and a knitter, I understand that both take more than skill. They require an appreciation for the process, the ability to follow instructions, and a vision of the finished product. Content, in all its many forms, is the main driver behind today’s smart marketing initiatives. But not every marketer has the time or skill to craft the compelling content needed to motivate a lead conversion. This isn’t to say they aren’t great marketers with creative ideas. It’s just that managing and leading a team, executing campaigns, running events and measuring results don’t leave a lot of quality time for content creation. This is where the professional word knitter comes in. Someone with the time, experience and focused concentration to produce the content you need to fuel those creative marketing initiatives. 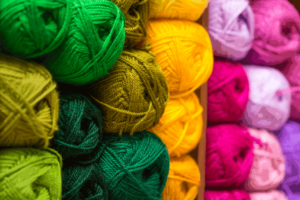 Not just a writer, the word knitter adds color, texture, and cohesion to your marketing campaigns with the pieces you need for success. As a 25+ year veteran of technology marketing with a focus on content creation, I have the knowledge, skills and experience to craft high quality, relevant content for your marketing initiatives. I offer a variety of word knitting services that will help you drive conversions, build thought leadership, and bolster your credibility in the market. I had the pleasure of working with Rebecca on a joint white paper between NEI and its partner, rPath. I found Rebecca to be responsive, prompt and on target with her deliverables. She was quick to understand the value of our business and what we wanted to convey, and she produced a paper that presented our technology accurately. I’m pleased with the outcome and feel sure this paper will enhance the overall understanding of our offering. I’ve worked with Rebecca both as a colleague and as a client, and know her to be an exceptional communicator. She grasps concepts and information quickly, and produces quality written material that speaks directly to the target audience. Rebecca understands technology and writes so that others can understand it too. I’ve worked with Rebecca both as her immediate supervisor and now as a client. I find her to be a delight to work with and have tremendous respect for her ability to convey technical topics in understandable language. In addition to her writing skills, Rebecca is fun, personable and straightforward. Rebecca is a quick study, a creative force and a reliable source for high-quality content. Rebecca was recommended by a mutual colleague and I’m delighted to have found her. She has provided excellent written content for eBooks and emails to support one of my client’s marketing campaigns. Her deliverables have been well-received, and I enjoyed our collaboration as we refined the content and discuss creative approaches to meet the client’s needs.